Al Jazeera Calls for 'Day of Action' for Detained Journalists - trendistic.com: ever tried. ever failed. no matter. try again. fail again. fail better. Al Jazeera has put out a global call for solidarity on with its four journalists that have been detained in Egypt for months. Events were planned for more than 30 cities, and Al Jazeera staff in newsrooms across the world sent support. 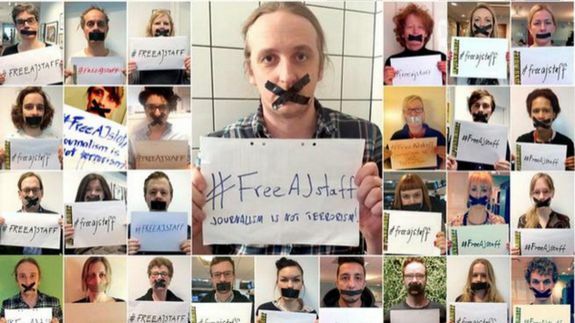 The organization encouraged people to include the hashtag #FreeAJStaff in tweets.